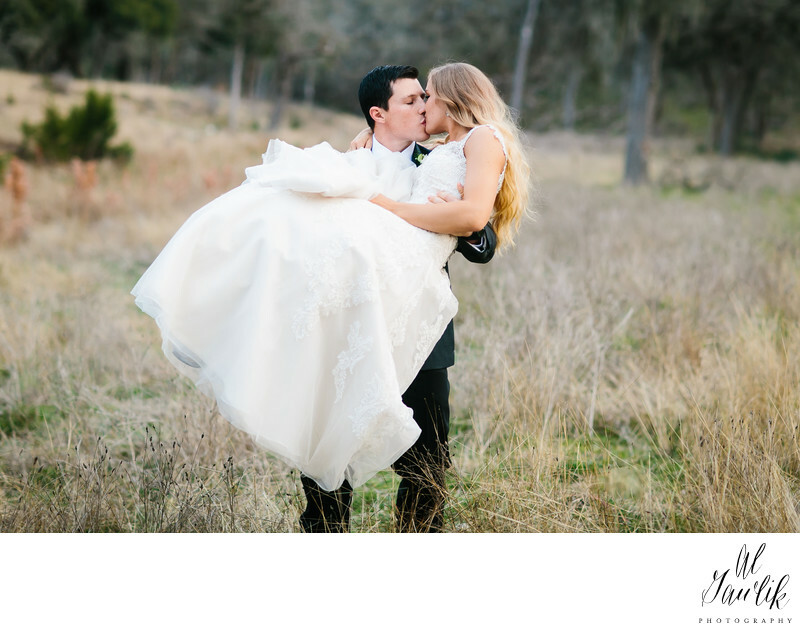 Texas wedding photographer wedding threhold? Wedding portrait at the edge of the woods and in the arms of the groom. You may kiss the bride and you can be lifting her over the threshold at the same time.